Rooms 9 to 16. No. 140 South 13th St.
A. B. Minor, Sec'y & Treasurer. Executive Committee: H. B. Scott. Charles E. Perkins. C. H. Morrill, A. B. Minor. 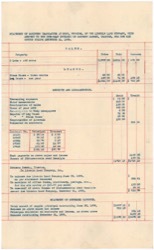 Quotations of Prices Are Subject to Change without Notice. State Journal Co. Lincoln Neb. 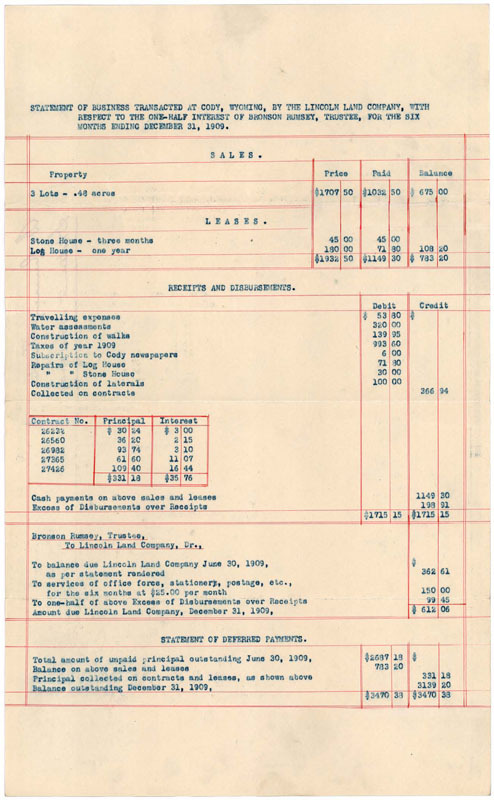 Herewith the usual semi-annual statement, showing business transacted with respect to the property in Cody, held jointly by the Lincoln Land Co. and yourself, as trustee, representing sundry interests, showing a balance of $612.06 due the Lincoln Land Co. I hope the county division matter will soon be settled, so that Cody will be in shape to go ahead. We think there is no doubt, if the decision is favorable to Cody, that it will create quite a movement in real estate. 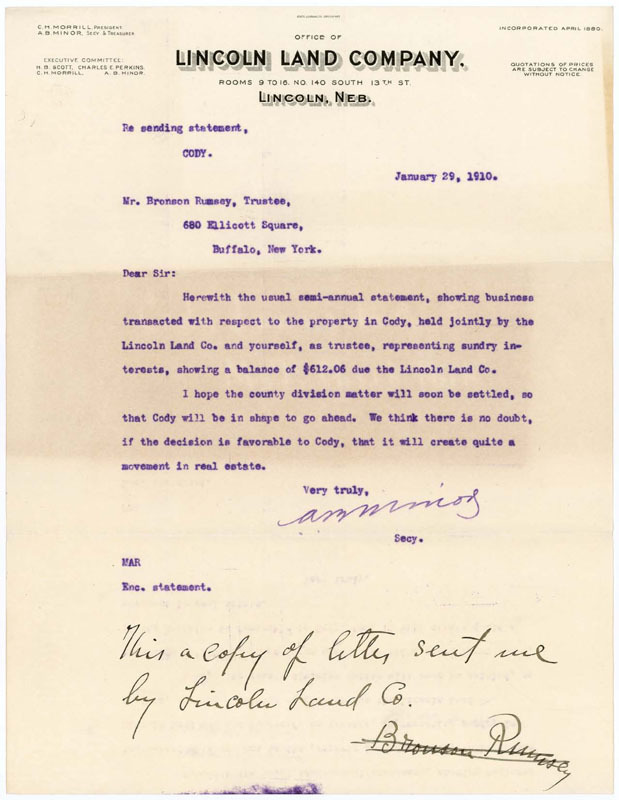 This a copy of letter sent me by Lincoln Land Co. 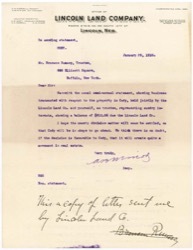 Statement of business transacted at Cody, Wyoming, by the Lincoln Land Company, with respect to the one-half interest of Bronson Rumsey, trustee, for the six months ending December 31, 1909. 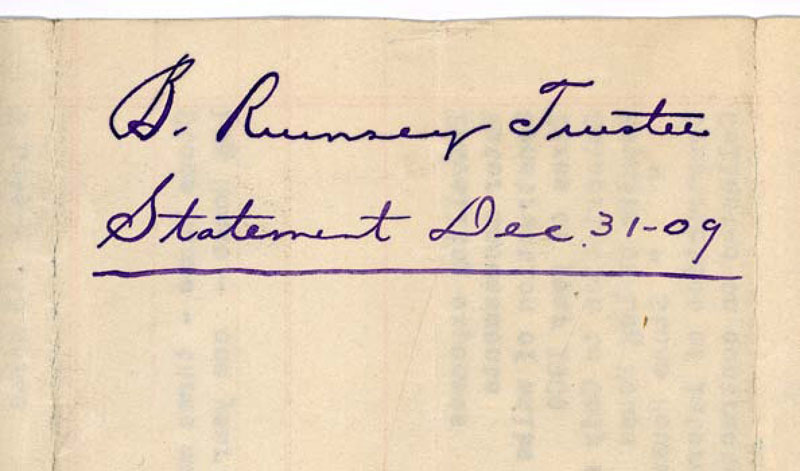 Note: Compound document includes cover letter and transaction statement.